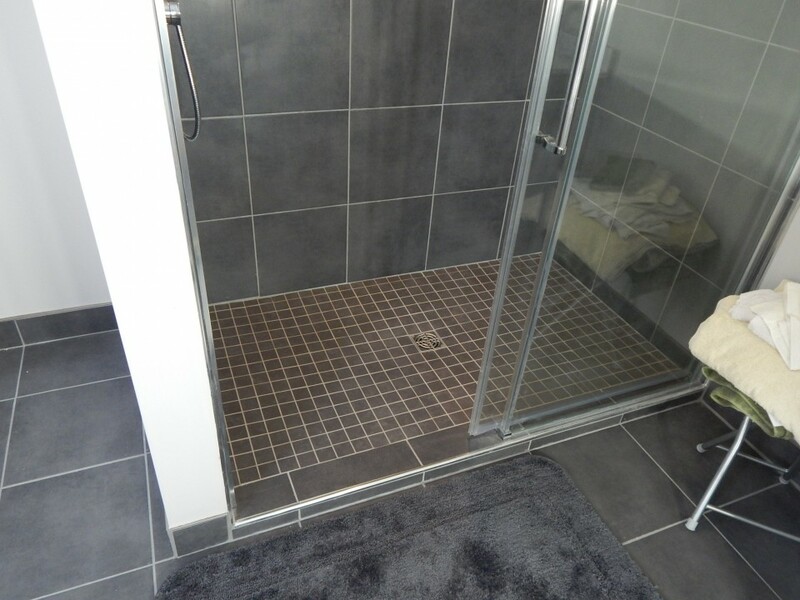 Transition from wall tile to wood with Schluter transition. 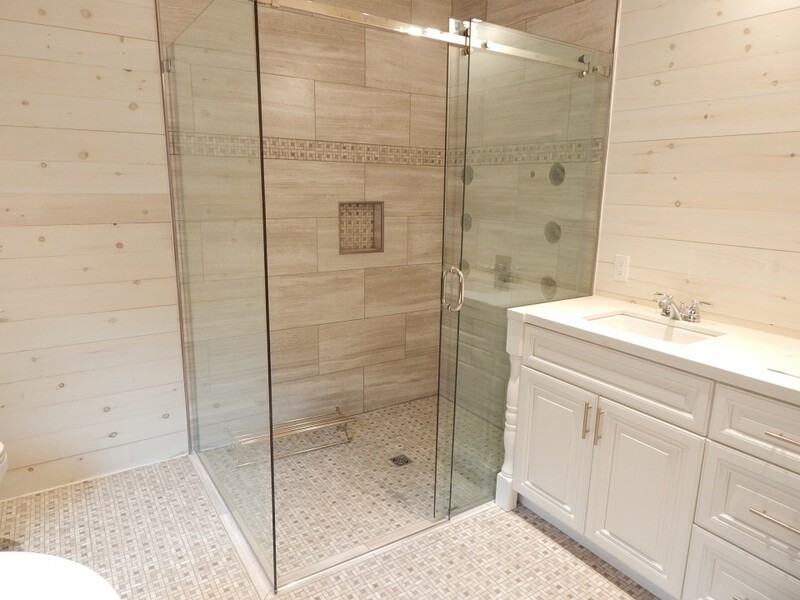 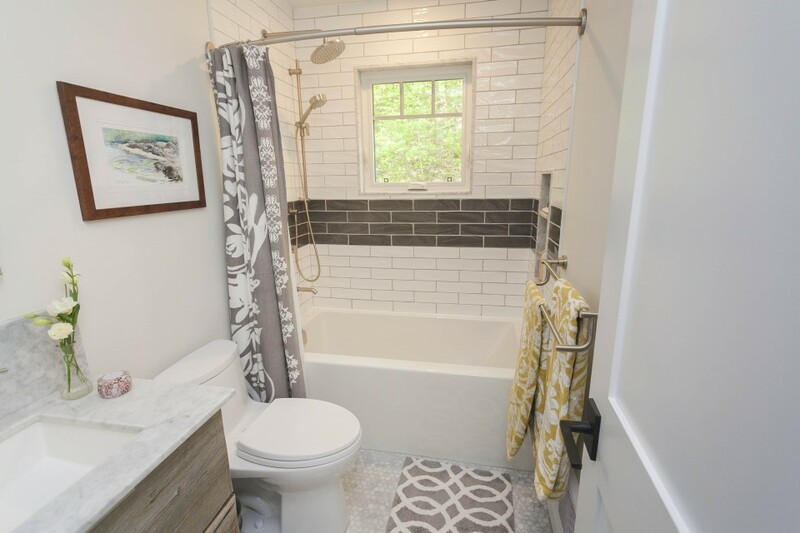 Natural materials such as Tile and wood combine well in this bathroom where the wood adds a note of warmth to the design. 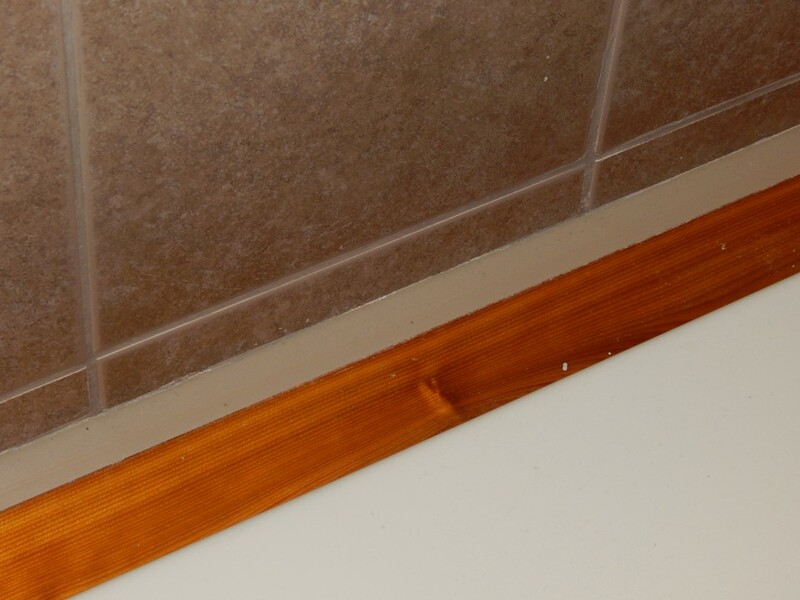 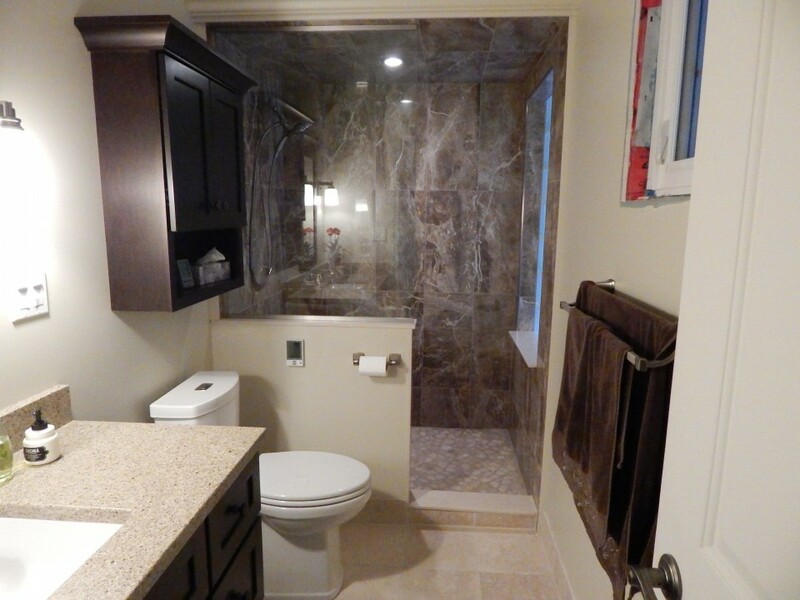 For the transition from wall tile to wood we used a Schluter transition profile. 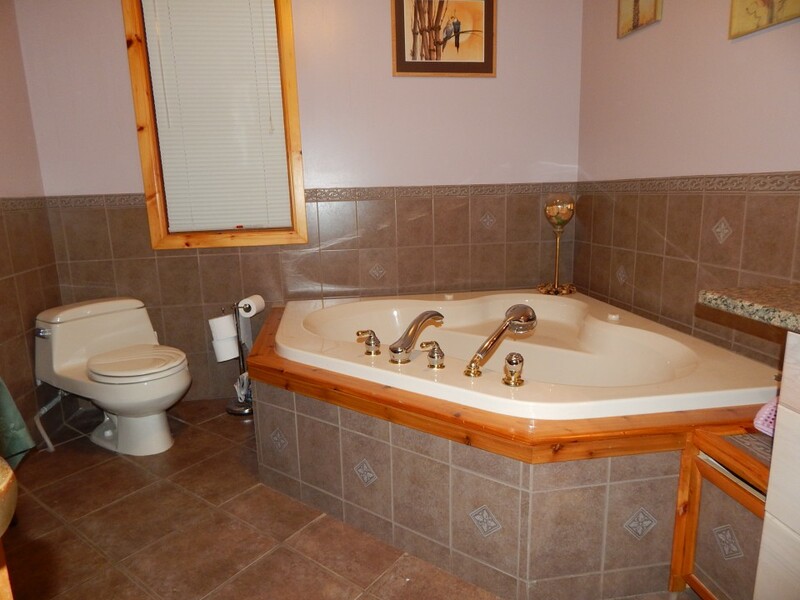 Jacuzzi Tub with Tile and Cedar skirt.